This week we continue season five of Beyond the Gallery with De Lane Bredvik, an installation artist from Manitou Springs Creative District. Art is almost a spiritual practice for De Lane. It includes everything – food, when he wakes up, his responsibilities to the environment. It’s all part of a system. Creating art is a way to live life. 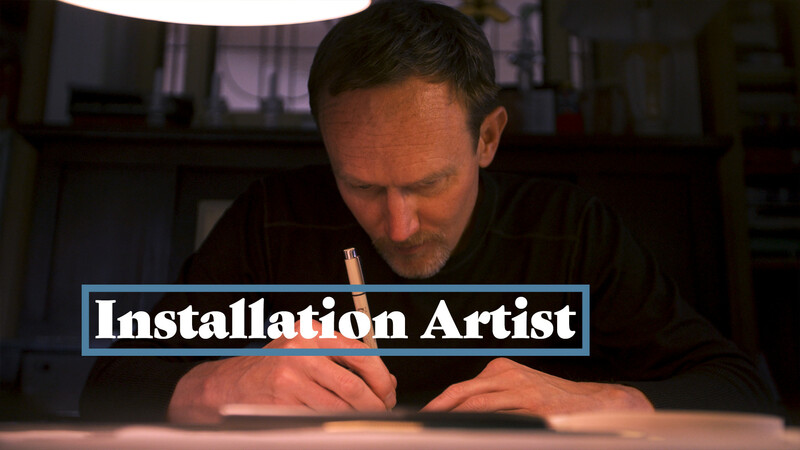 De Lane Bredvik is an installation artist living in the Rocky Mountain Pikes Peak region. His installation art seeks to raise awareness through creating immersive experiences that are designed to engage the mind and the senses. He is inspired by a variety of critical social and environmental concerns, as well as by the compelling sensual quality of materials and the intimate interior world of the soul. Although his installations are infused by academic rigor gained from earning a Master degree in Architecture from Harvard’s Graduate School of Design and undergraduate degrees in Studio Art and Art History, he relies on intuition, chance, and the creative process to develop and communicate ideas.